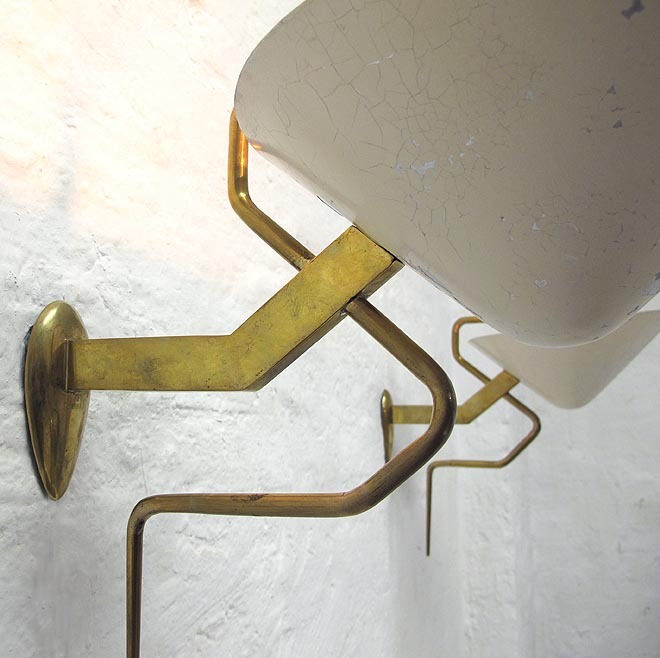 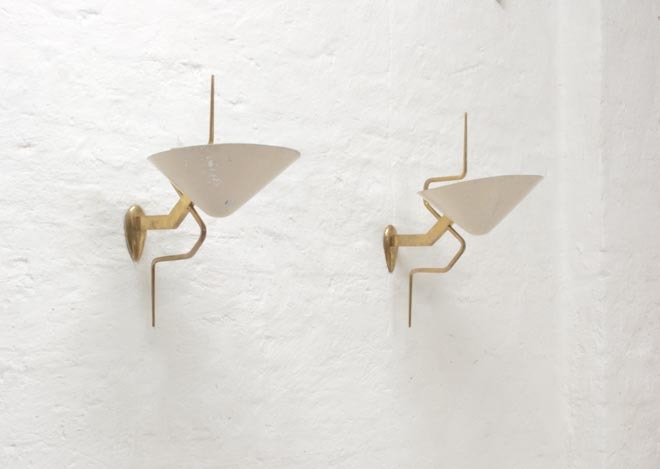 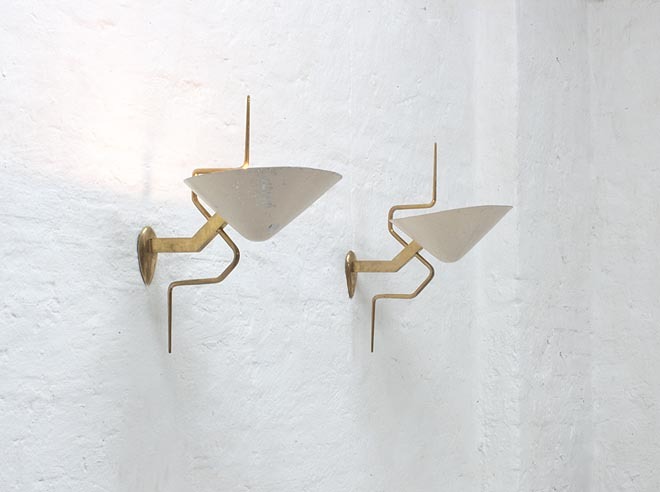 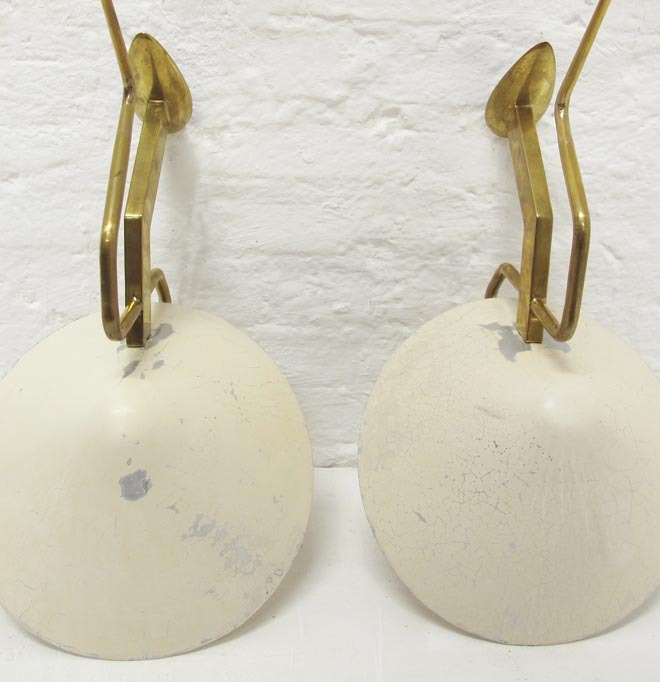 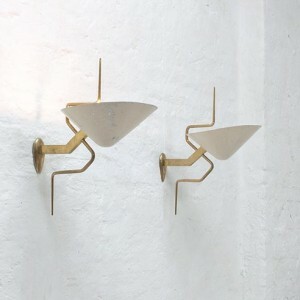 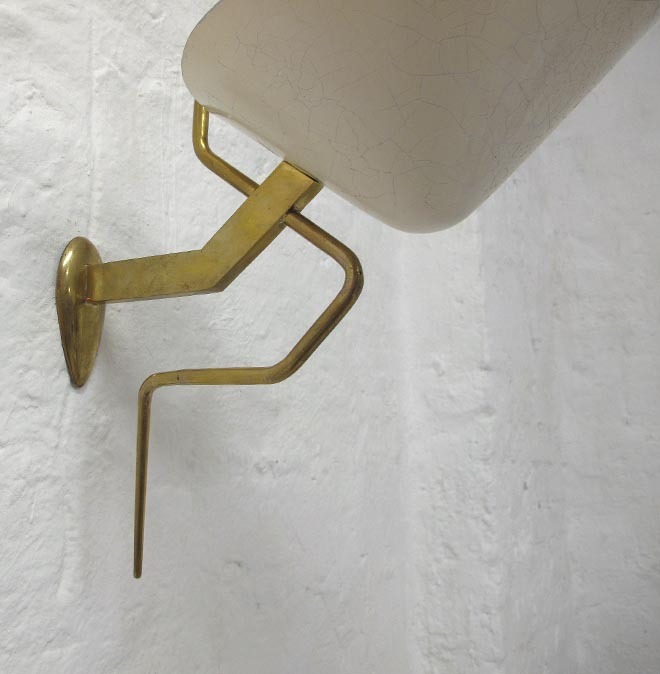 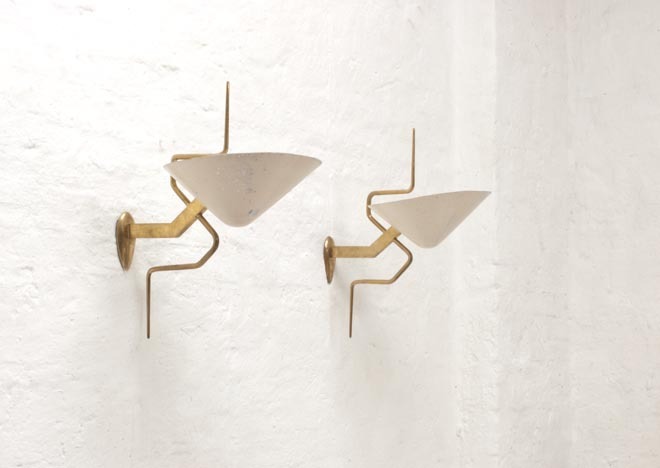 Italian 1950's wall lights for indirect lighting. Fine brass work. 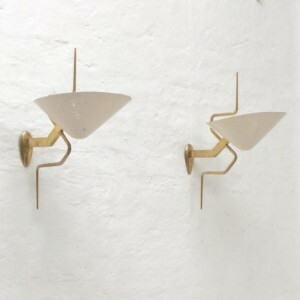 Shades in original color with missing parts. Brass and cream white original colored metal.